Join the Resistance! 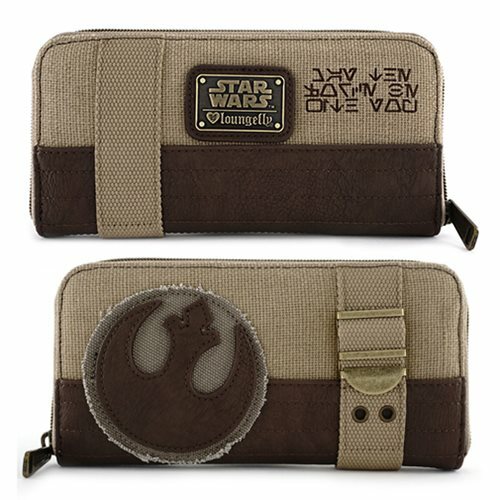 Showing the symbol of the Rebellion, this Star Wars Rebel Canvas Zip-Around Wallet measures approximately 8-inches wide x 4-inches tall and matches the Star Wars Rebel Crossbody Purse (sold separately). It includes printed, patch, and applique details. Ages 13 and up.